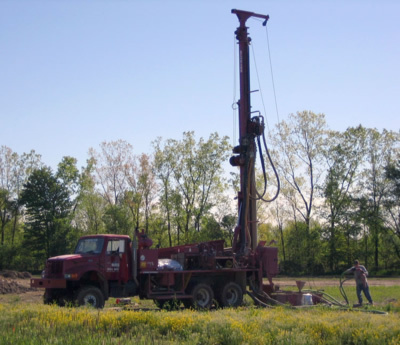 Living in rural Michigan gives homeowners the opportunity to install their own water well system. This is seen as one of the best ways to obtain natural, crisp water. The importance of having clean water goes beyond having it taste good. For the sake of hygiene and health, water should be purified for daily activities and cooking. The human body is 70% water after all. So, what should one do when there are obvious signs that the water is becoming unclean? That’s when you should talk with your professional well drilling company about installing a filter or purification system. This will increase your chance of being protected from any kind of contaminants in the water. Here are the two filters that every well owner should know about. The reverse osmosis filter (RO) is famous for its fantastic ability to extract good minerals like potassium and calcium. They are pump driven and run on high pressure, so they won’t disrupt the water pressure you already have. Any contaminates are halted by a semi-permeable membrane while clean water flows through. The contaminants to look out for are iron (most likely to come from the pipes), nickel, lead, fluoride, and many more. Hopefully, a large amount of those elements aren’t in your water, but it’s good to be careful. This filter is best to use if you notice any white mineral staining on your dishes or kitchen supplies after washing them. Carbon block filters are more commonly used for municipal water systems, but they’re still considered helpful. These filters remove chemicals like chlorine and metals like iron and lead. If you prefer to have calcium and sodium in your water, these filters make sure those pass. The greatest advantage of a carbon block filter is its ability to ward oxidizing elements. This is what contributes to wearing down of your kitchen items like coffee pots and tea kettles. Carbon block filters also remove the scent and taste of chlorine, which is a common element municipal water systems use. When Should You Look Into A Filter? A filter for your well water is something you should discuss with your Oakland County well driller while it’s being installed. If it hasn’t come up and you think your water is fine, here are a few things to look out for while you’re enjoying your new well. The color of your water is changing to yellow or green. This may be due to iron. Your water is giving off a horrible, “rotten egg” like smell. Your water tastes different. This is a sure sign that chemicals of all sorts have affected your water. In the world of well drilling and water purification, water can be determined as “soft” or “hard”. Soft water is purified, whereas hard water still has elements in it that taste like chlorine or metallic. 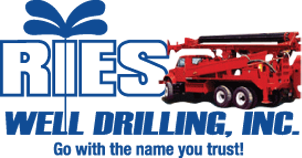 If you desire only the best and softest kind of water, contact Ries Well Drilling, a professional well drilling company in Michigan servicing Oakland County, Macomb County and the surrounding areas.